This is a story of two famous women, and a bunch of x-rays that hang in my office. Both wanted to use them on their shows as examples of surgical equipment that had been left behind. One of the films is to the right, and the others on my web site. A few years ago I received an email from the Oprah Winfrey show. It seemed that some guy named Dr. Oz wanted to use those x-rays for a show on medical mistakes. Sure, I said, you can use them, so long as you give me credit so that these don’t disappear into the public domain. Interested parties should know their original source. Thus started the most ludicrous negotiation I’ve ever had in my life on any subject. After a few dozen emails over several weeks, they successfully overlawyered the issue to death and they never saw the light of day on the almighty Oprah show. I confess that, when I finally wrote As Seen On Oprah! (Kinda, Sorta, Almost) I had a lot of fun. More fun than should be legal, perhaps. It never got much in the way of pageviews, but it’s always been one of my favorites. So this afternoon I get a call from a producer from Diane Sawyer for ABC News. They also want to use the x-rays for show on medical mistakes. We consummated a deal in about a minute. You can see the clip here as my films have their 15 nanoseconds of fame and glory. Two different media divas; two different ways of handling a routine matter. Oprah is big. I know this because my media maven wife tells me so. She has, like, a jillion fans and even more money. I’ve never actually seen her strut her stuff on her show, but a jillion fans (and even more money) can’t really be wrong, can they? So I was flattered when Harpo Productions, Oprah’s production company, contacted me. It seems that one of her regular segments is with a Dr. Mehmet Oz, and he wanted to do a piece on medical mistakes. So enter stage right, me. Well, not exactly me, and if you’ve seen me on TV you’d know why. No, they wanted to use some of the images from my website for the show. 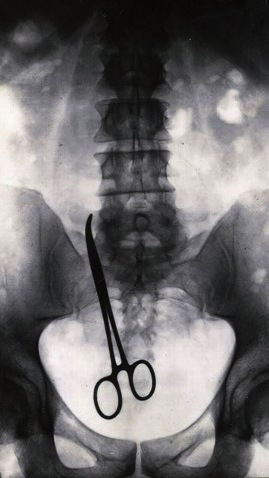 I have a series of x-rays in my office that show various bits of surgical equipment left behind after surgery. And by golly those kind of images would look nice on a show about medical mistakes since TV is, after all, a visual medium. And they wanted to use my images. Of course! I said. And who wouldn’t? And even though Oprah has said jillion dollars, I volunteered that I didn’t want any of it for the use of the x-rays. A simple thank you would be nice. I would help with what was likely to be a valuable piece for a big audience and all would be right with the world. But Oprah had a problem, it seems, with the “thank you” part. Or at least her legal team did. I asked that my firm receive proper credit for the use of the images so that others would know their source, and if the segment or films appeared on the web, a link back to my site where the films were found. No sirree, they said. No link. No link? I’ve dished out, and received, more than I can count. They told me it was “standard” not to link. That, of course, is complete nonsense, as you can see from sites such as the Wall Street Journal and the New York Times, among others. Oprah offered up an “end credit,” those scrolly things that roll by at the end that no one ever sees, or on web versions an unlinked url. OK, I said not wanting to be too much of a pain, because while the link was nice it really wasn’t that big of a deal to me. 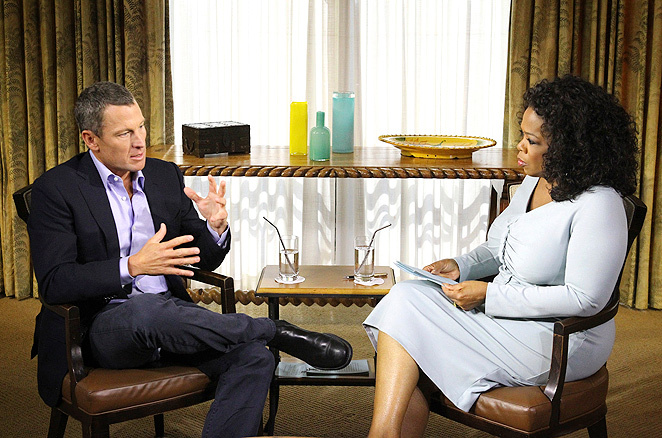 It would still be fun to write about being kinda, sorta, almost on Oprah. My x-rays would have their 15 nano-seconds of fame and I know that they would like that. And I would have helped Dr. Oz spread the word about real medical problems and mistakes and yada, yada, yada. But even that seemed to be a problem for Oprah. Because part of the license agreement was this wonderful little bit that I’ll summarize: We (Oprah) get to use your x-rays. And you (Turkewitz) get to surrender your First Amendment rights to discuss that fact. In other words, I get to pay them to use my material. Not with cash, but with good old fashioned rights. What a deal! Licensor acknowledges and agrees that it shall not and cannot use Harpo’s name or logos or Ms. Winfrey’s name, voice, picture or likeness for any advertising or promotional purposes without first obtaining the written permission of Harpo relating to the Material. 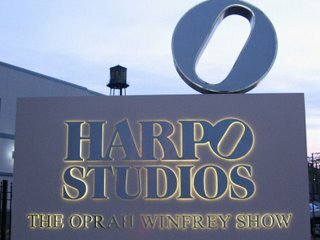 Specifically, Licensor agrees not to use Harpo’s name or trademarks, Ms. Winfrey’s name or likeness, or a quote from Ms. Winfrey or the Program on Licensor’s website, in any Licensor-related publication, in connection with the marketing or advertising of Licensor or in connection with any book, blog, or other publication, product or service (including digital transmissions such as the internet or other on-line computer communication services) relating to Licensor. Further, Licensor hereby agrees not to use the phrase “As seen on Oprah”, or similar statements, in any promotional or advertising material it creates or on its website. OK, so they want to use my stuff and they don’t want me to talk about it or even mention Oprah’s holy name or use her image. But there was one last avenue to explore — because after all, this would have been fun — and that last avenue was the part about obtaining written permission. So I told them I had every intention of blogging about it. Great!, they said, what did you want to write? Umm, since the show hasn’t aired, how could I possibly know? Does Oprah review a book that she hasn’t yet read? And that, my friends, was the end of that. Over several weeks and a couple dozen emails with three different people from Harpo working on this little project, they successfully overlawyered the issue to death. I know what you’re thinking, her career will probably hit the skids as a result. Now I don’t mind being played for a fool, but that’s only if the foolster happens to be my offspring, and I’m even willing to bend that rule if the foolster is merely a friend of the offspring. I’m game to ask why the chicken and all manner of other critters crossed the road, and to laugh at assorted knock, knock jokes, though I generally draw the line at the 9th iteration. But I don’t really care to be played for a fool by Oprah, no matter how big a shot she may be.